Located in a hamlet in the French countryside, with easy access to beautiful walks and only a short drive from lakes offering a variety of water based activities, ‘Gites for Two’ at the Barn is ideally situated for couples or friends who enjoy fresh air activities and time out from city life. The region is almost one third forests of chestnut, oak and pine with soft rolling hills through to the more mountainous area of the Monts d’Ambazac. What to do in the Haute Vienne! 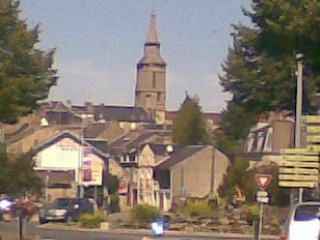 Route du Haute Limousin - a car route through the Limousin taking in places and towns of interest. Cycling - with quiet country roads the cyclist is rarely under threat but equally with off-road cycle ways throughout the area there is something for everyone. Swimming and other water-based activities - there are two lakes close by. Although Lac de Sagnat is the nearest, Lac de Saint-Pardoux offers far more activities such as sailing, canoeing and swimming and, recently, a swimming pool complex. 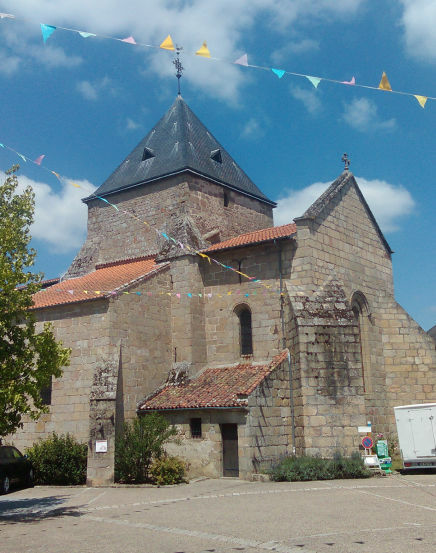 Walks - there are several marked walks taking you through the glorious French countryside in and around Bessines-sur-Gartempe and the Monts d’Ambazac in the Haute Vienne. Walks around both the lakes offer some stunning views. Details of walks can be found in the 'Welcome Pack'. What to see around the Haute Vienne & La Creuse! The Limousin region is rich in history with plenty to explore. Limoges - famous for porcelain and enamelling, and with history dating to before Roman times. Visit the Cathedral and Butchers Quarter. Lac de Sagnat - walk around the lake to view the trees around the lake. The trees are marked and descriptions given throughout the pleasant, easy walk. Or, stop at the beach for a spot of sunbathing or swimming. Lac du Saint-Pardoux - a large lake about 15 minutes drive from the Gites with beaches for sunbathing and swimming or areas for water sports such as canoeing. There are cycle tracks around the lake and a 22km walk. Something for everyone. Insect Museum - to discover more about insects and view a collection of 15,000 specimens. Creepy! Bandafolies - a weekend of bands and activities centred in Bessines-sur-Gartempe. Well worth the visit. Finally, for something different visit Ureka - a mining museum within walking distance..
Where to eat around Bessines-sur-Gartempe! Around Bessines-sur-Gartempe there are cafes for a drink and people watching. Plus restaurants specialising in Limousine cuisine, especially beef. There is also a local pizza place. The current favourite of guests, and within 5 minute walk, is the Pizza kiosk in the car park of the local supermarket. If you are looking for Chinese food, try the Royal Wok in Gueret or take a trip into Limoges.